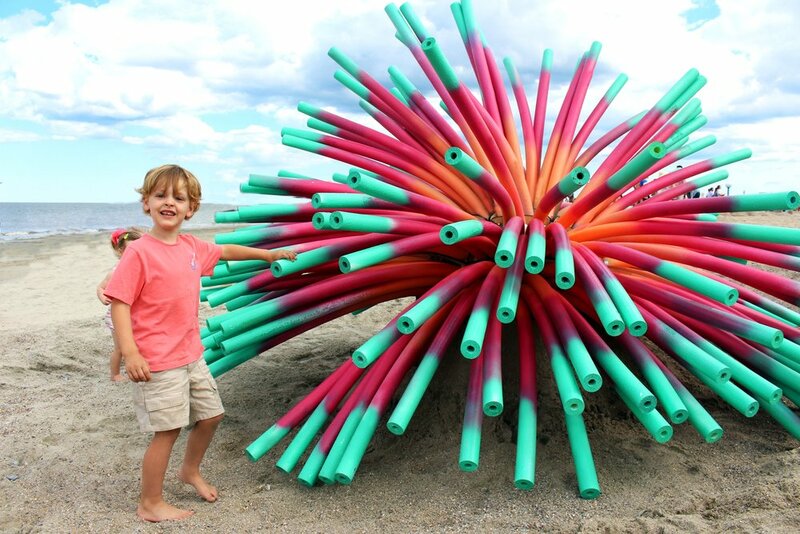 Bloom is inspired by colorful sea anemones and the flow that moves them, mimicking bursts or blooms the anemones are created from a geodesic structure supporting a bursting outer layer of colorful foam tentacles. A Million Flecks of Light. Ponce City Market. Atlanta Beltline. 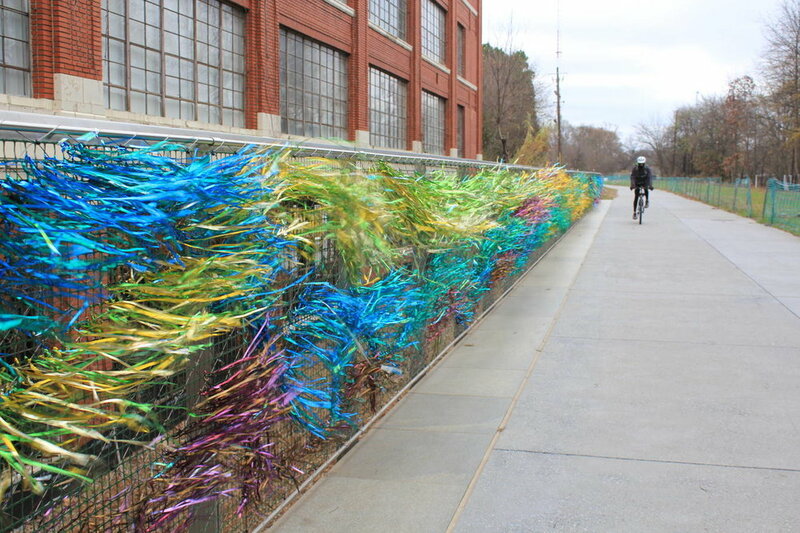 Atlanta, GA.
Fluttering in response to the movement of passing pedestrians and cyclists, this shimmering sculpture is activated by the city's urban flow. 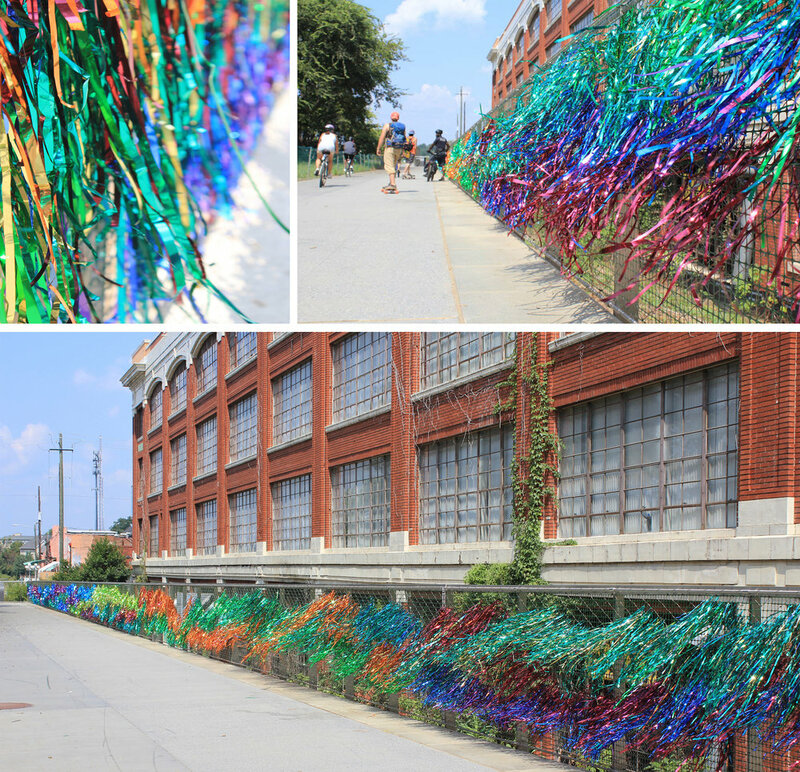 Created from thousands of hand-cut strips of mylar, each hand-tied to the fencing, the sheer magnitude of shimmering strands becomes an impressive illusion. 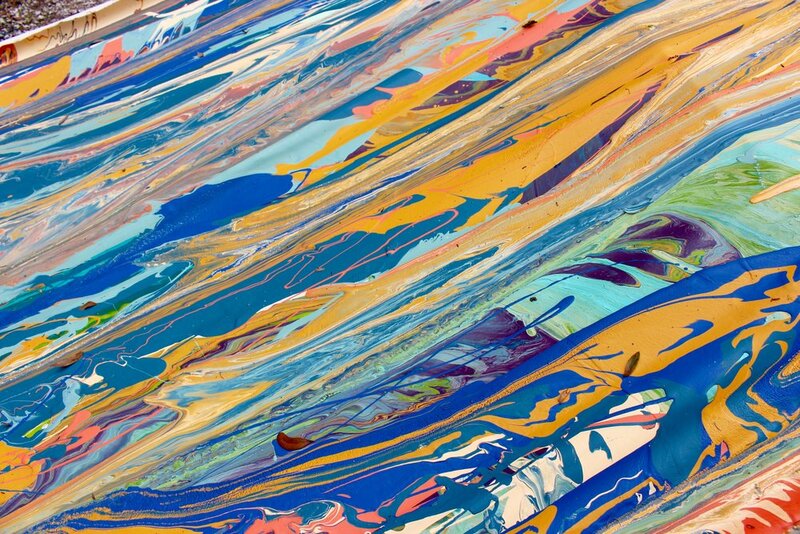 Pour. A-Town Foundation. Charles Morris Center. 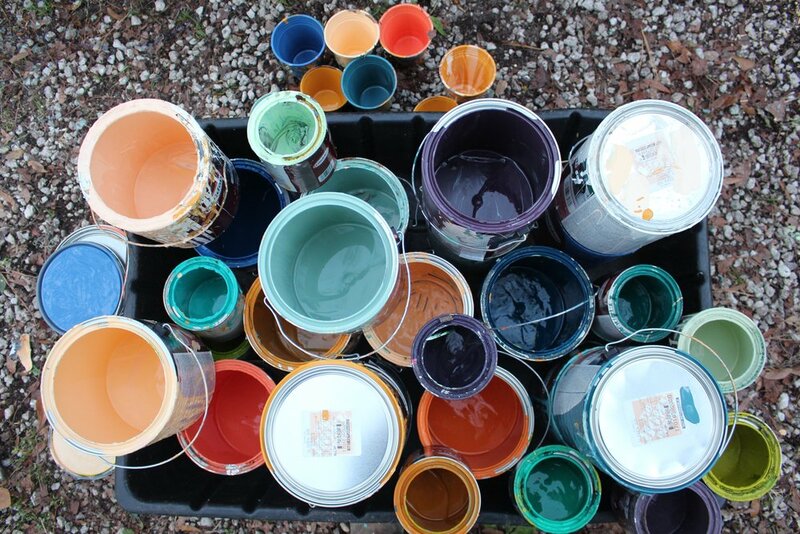 Savannah, GA.
Gallons upon gallons of paint pour, drip and mix vertically down the canvas panels, as if paint is pouring out from the ceiling of the rustic Charles Morris Center. 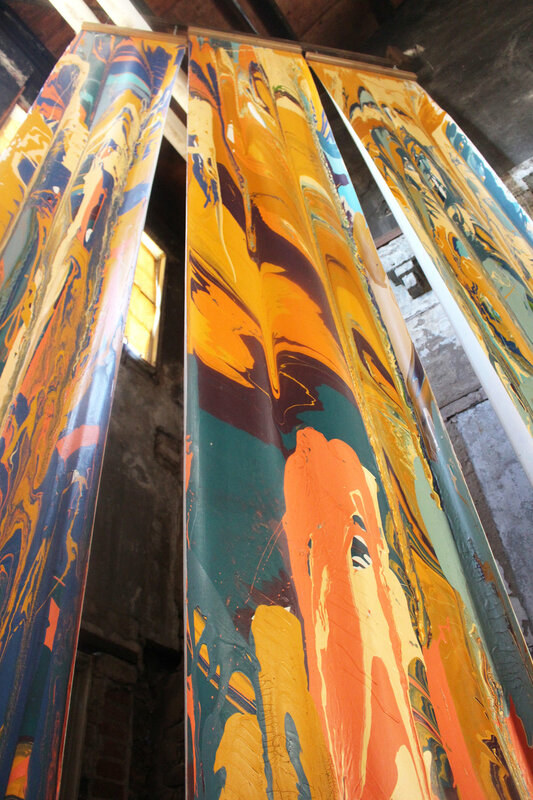 It's bright, bold and dramatic, creating a vibrant atmosphere in collaboration with the ever-changing musical performances. Inflate. A-Town Foundation. Charles Morris Center. Savannah,GA. Inflate is a sculptural screen series created from 12,000 balloons suspended like dimensional paint strokes, layered upon each other creating a supple, unexpected texture. Inflate. Atlanta Beltline. Eastside and Westside trails. Atlanta, GA.
Luminescence. 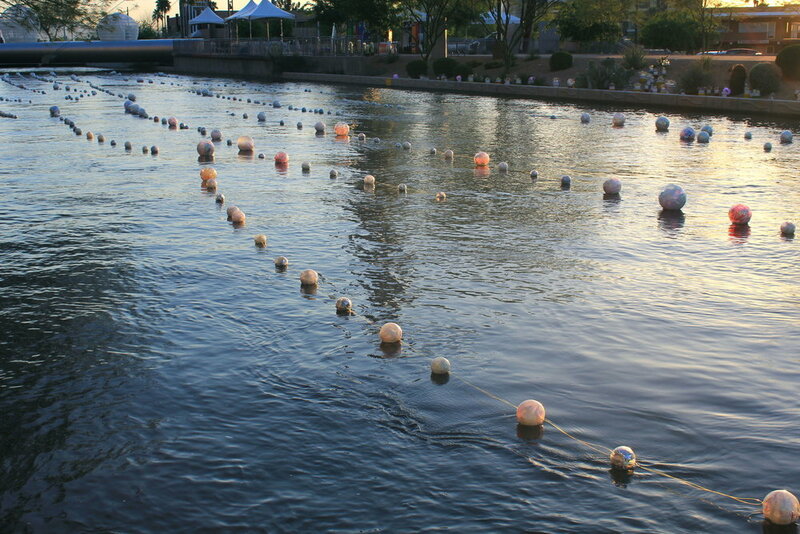 Scottsdale Waterfront. Scottsdale, AZ. 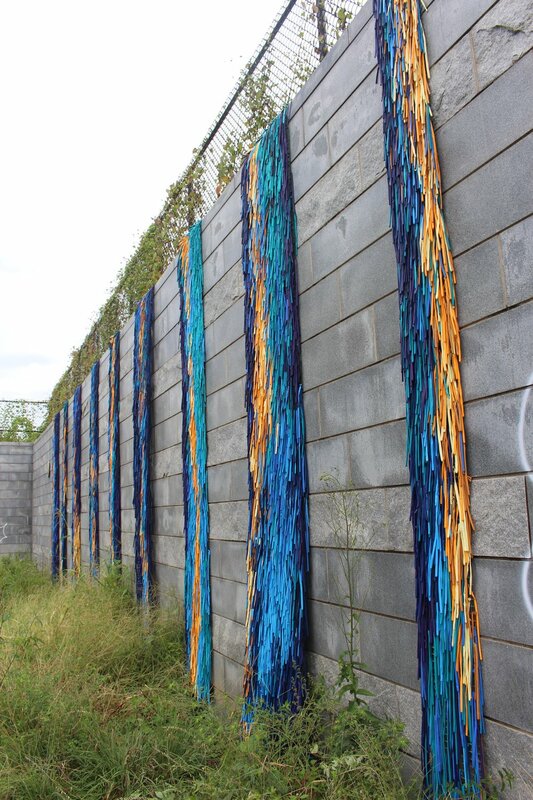 Rising from the canal floor, hundreds of reflective bubbles float along the sides of the canal, mimicking seaweed. 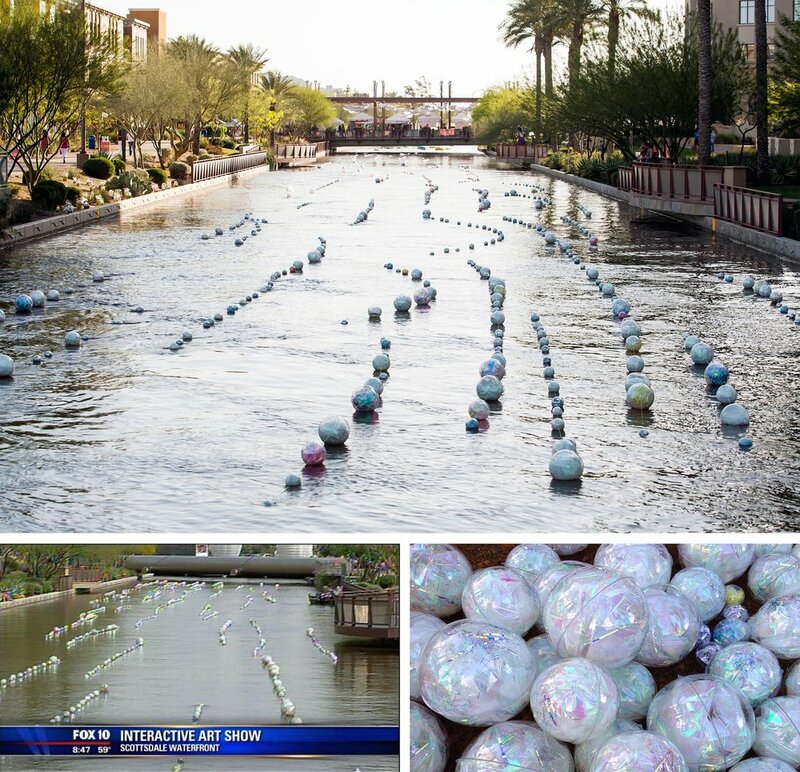 In daylight, the transparent bubbles create and illusion on the surface of the canal while they absorb the energy of the Arizona sun. 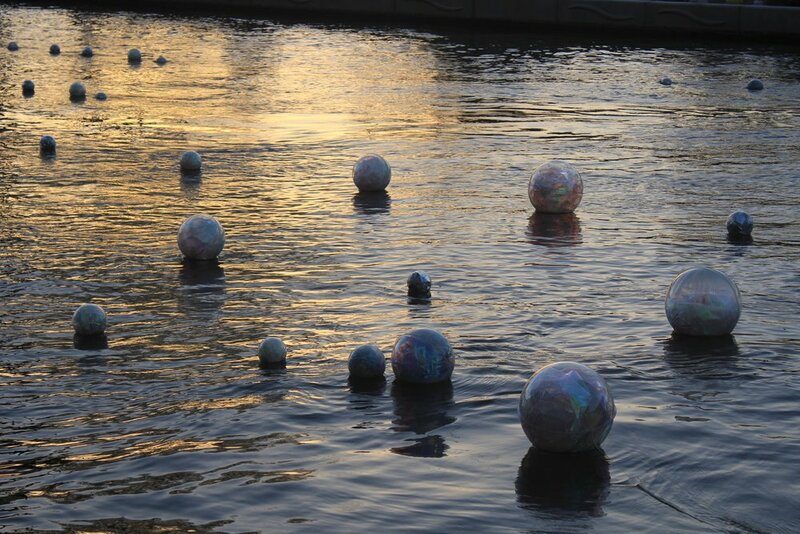 As the sun sets, the bubbles take on a surprising new life as they begin to glow subtly, evoking a sense of whimsy and magic. The Fog. Ogeechee canal and Historic Site. Savannah, GA.
A 46,000 sq. 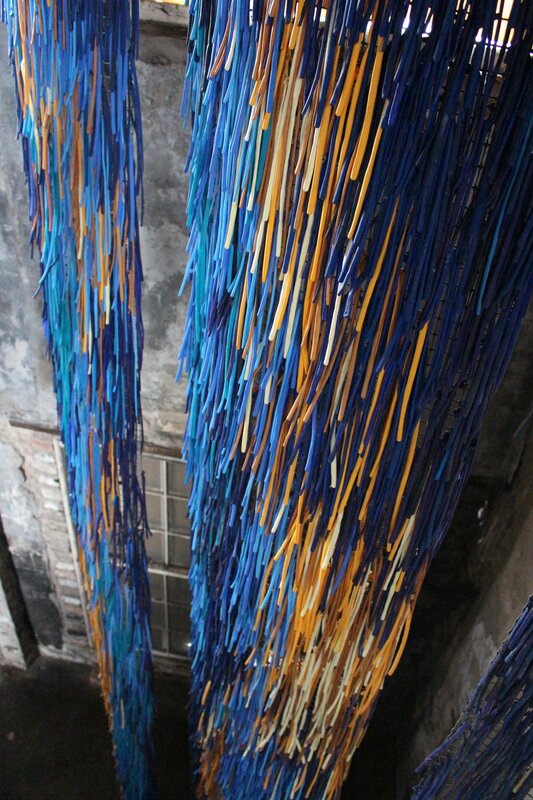 ft. environmental installation created from 16 miles of reclaimed cotton fabric and twine that visually illustrates the cycles of nature. A winding path leads to a central dome from which one is disguised amongst the dense layers of white. On opening night the entire piece was illuminated with over 300 candles, connecting those who gathered there to that specific place and moment in time. 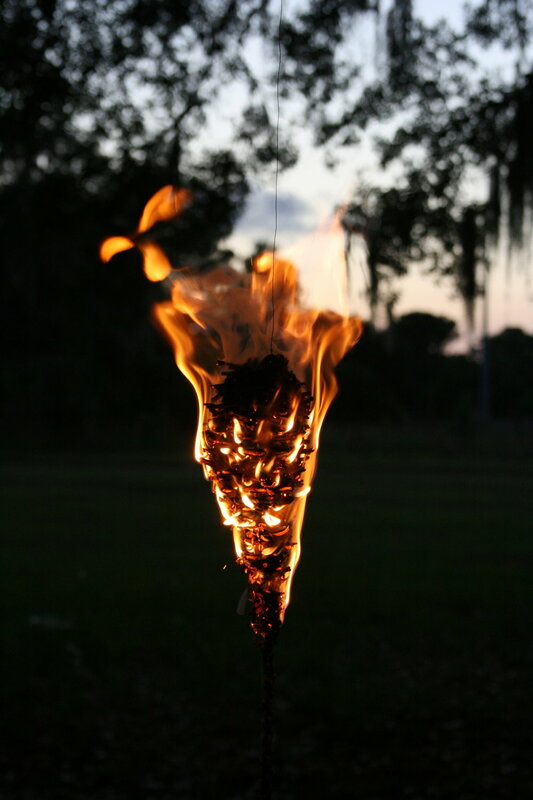 Solve et Coagula is the Latin alchemic term that refers to the breaking down of elements and their coming back together. It could be described as a process where the deconstruction of something stimulates the regrowth of itself into a new form. 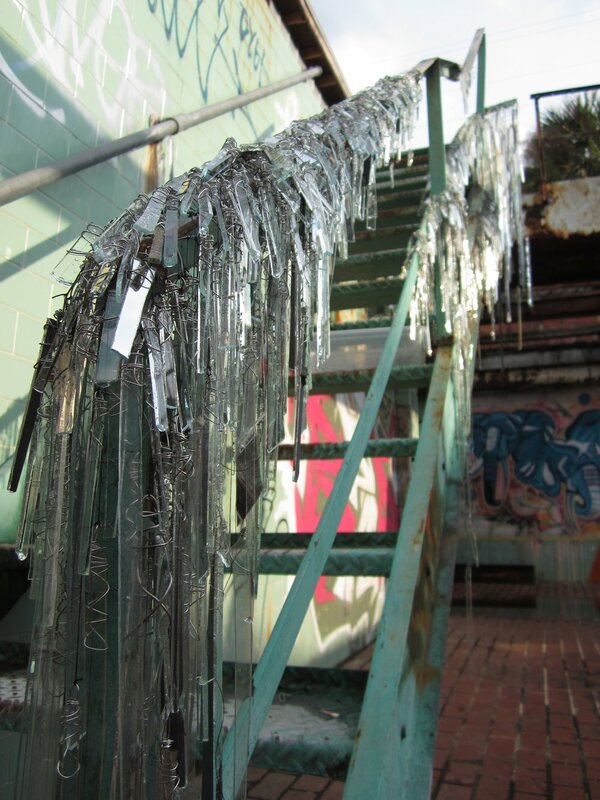 This idea was applied to the broken down, wasted materials and disused, abandoned buildings of a city which both harness this potential to be revived. 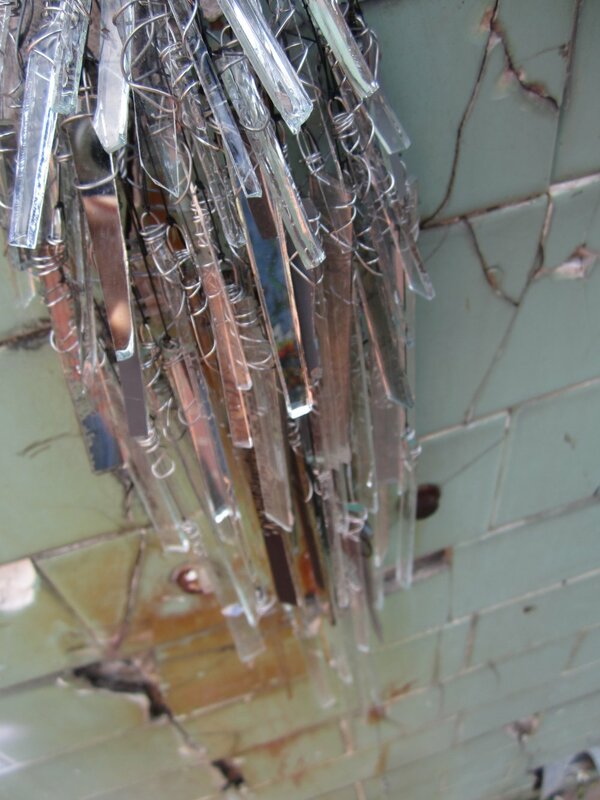 Reclaimed from the streets, pieces are densly layered creating a multi-faceted surface that distorts, reflects, and reveals. 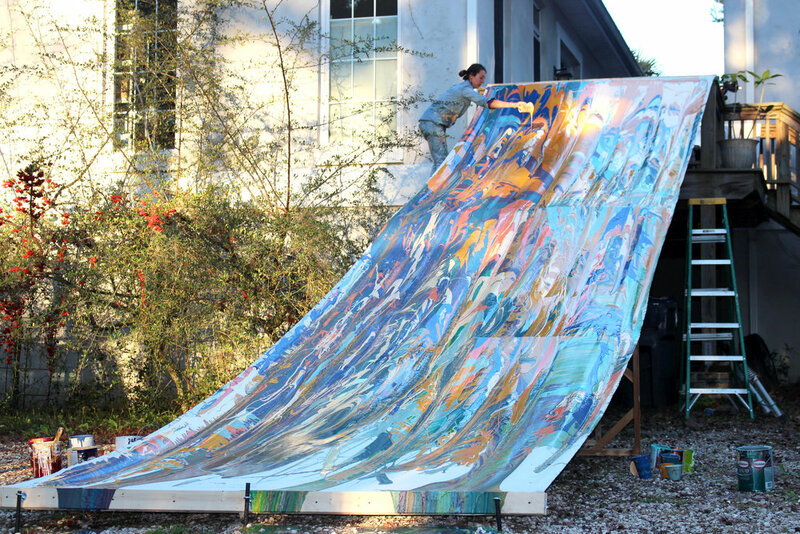 This transformation of the wasted and broken into beautiful and proposive public art reinvigorates a community's sense of possibility and the awareness to create change. A Wind Instrument. 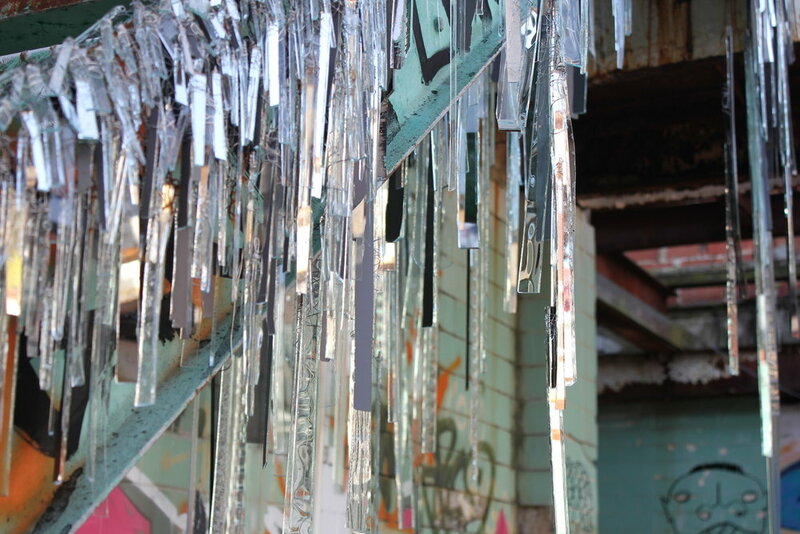 Atlanta Beltline. Atlanta, GA.
Hand-domed pennies tap against each other creating a soft rhythm. Layers of different notes build into a unique and ever-changing composition conducted by the wind. 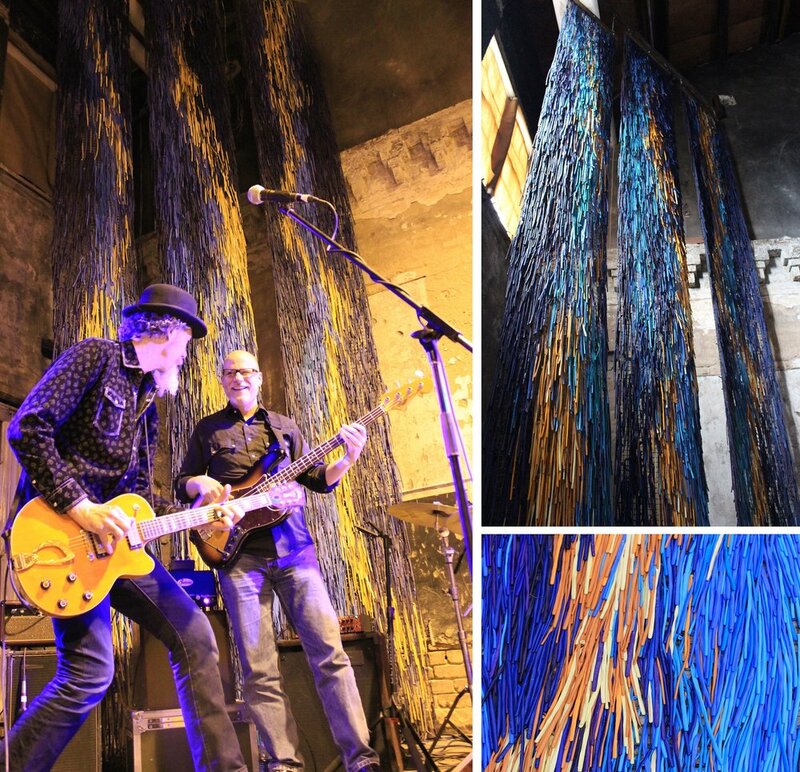 The long strands entice viewers to 'play' the instrument, encouraging a musical collaboration with nature. The Sand Bubbler. 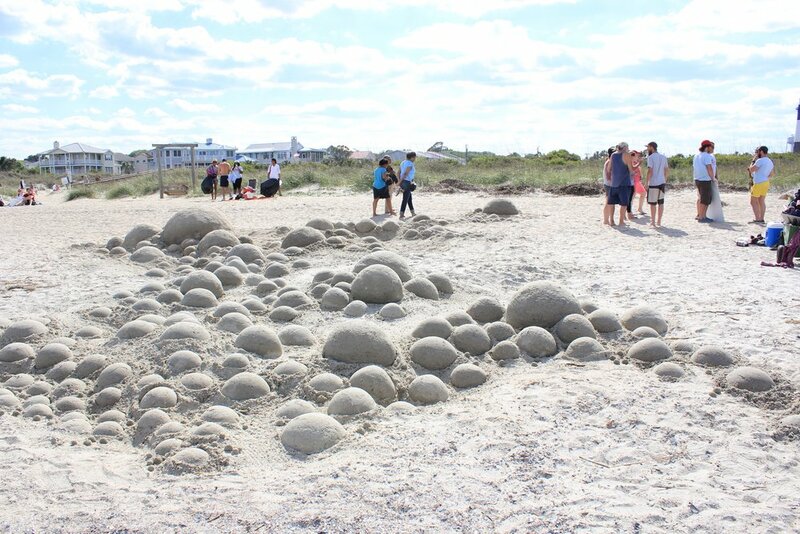 Sand Arts Festival. 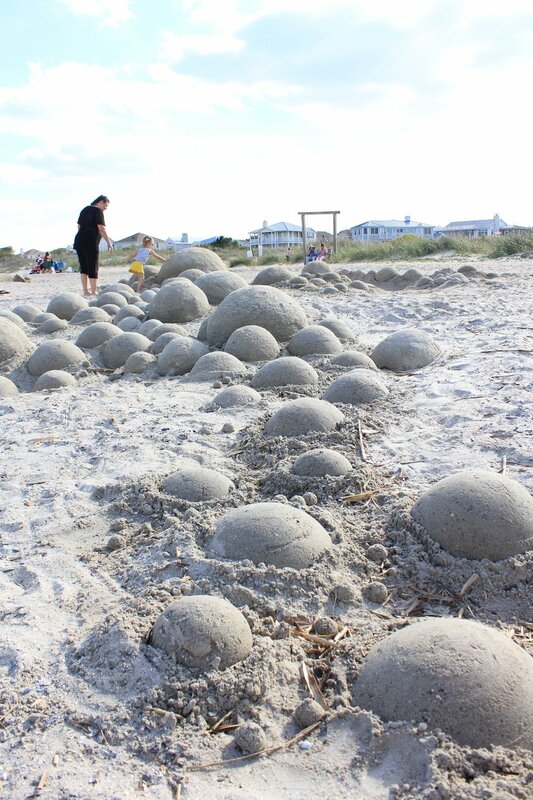 Tybee Island, GA.
A textural landscape inspired by the tiny sand bubbles created by the Sand Bubbler Crab. Reflection Field. Concept for Klick at Hotel Del Cornado. San Diego, CA. 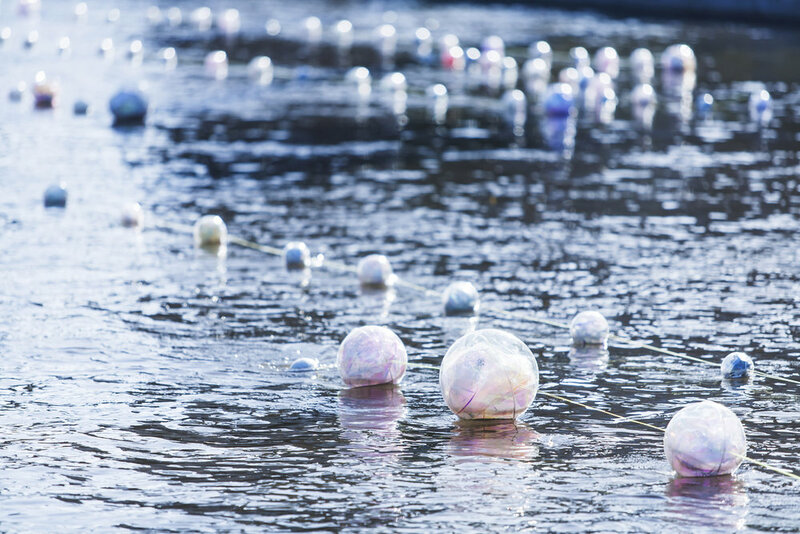 The Reflection Field is composed of hundreds of colorful, reflective poles sprouting from the ground creating an ever-shifting, ephemeral landscape. The composition of the field is designed to be eye-catching with a reflective, pixelated pattern that is perpetually changing throughout the day and night. The poles are densely planted, color intense and highly reflective. 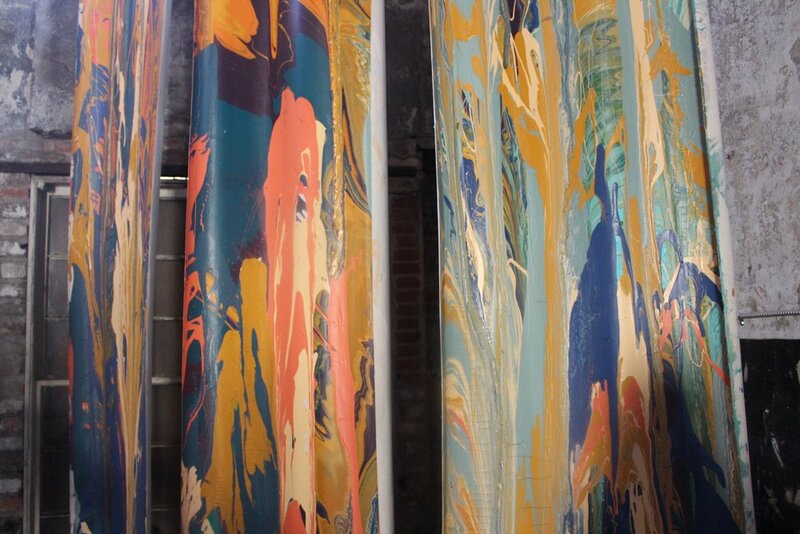 The mass of poles creates a visual mirage of light and color that evokes movement and playfulness. Visitors are encouraged to interact and wander through this illuminated field to experience the ever-changing qualities of the piece. 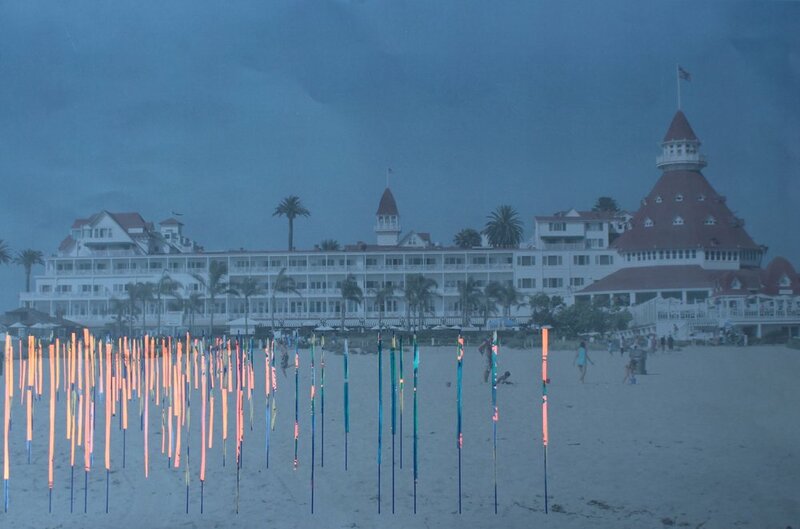 At night, lights will reflect off the poles creating an illuminated composition. First Breath After Coma. Tennessee Drive Dairy. Savannah, GA. The aim of this piece was to capture this transformation from one state of being into the next by creating a link between individuals. 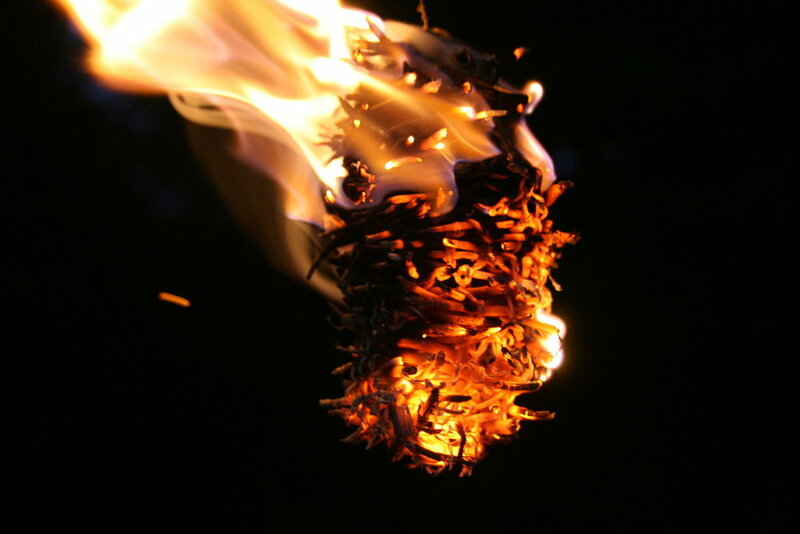 Through the phenomenon of fire, whirlwinds of emotions and associations arise as the once tangible objects disappear and the weights fall to the ground. Eventually the forms completely dissolve and the space is all that is left. This void becomes the transformation.